Establishing and maintaining perimeter security is growing increasingly important for many of the United State’s public and private facilities, whether the concern is the safety of children at schools, theft or sabotage of key resources, disruption of business operations, or terrorism. The initial impression visitors may have of a business or facility can come from the ﬁrst things they see: the fence and gates. Does their appearance reﬂect the image the owner wants to portray to the public? For example, fences and gates appropriate for a high school may be totally unacceptable for a pharmaceutical manufacturing plant. 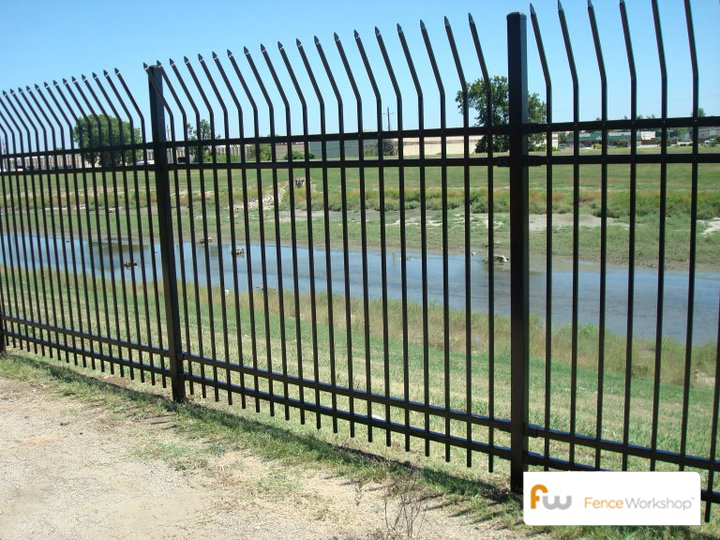 While there are various standards and resources for ‘high-security’ fencing used at military bases and similar facilities, there are not similar design guidelines for the speciﬁer to apply to ornamental fencing and gates used at the more common commercial and industrial facilities. Our website provides basic information about this subject, educating designers and property owners about what they should consider when detailing these forms of perimeter security. There is a wide range of product—and cost—options when it comes to ornamental fencing. Products can be fabricated in a shop (possibly in a backyard) or manufactured with quality control procedures. They can be steel or aluminum, galvanized or not, and ﬁnished with paint, powder coating, or more exotic ﬁnishes. Panel assembly may rely on retaining rods, rivets, or welds, nuts and bolts. Construction at the job site could mean ﬁeld-welding or different types of brackets. The quality of manufactured fence results from a detailed quality control process. Where does Fence Workshop™ Supply Perimeter Security Fencing? 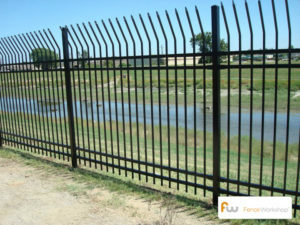 At Fence Workshop™ we supply Perimeter Security Fences in Georgia, Florida andNorth Carolina areas like Atlanta GA, Athens GA, Augusta GA, Columbus GA, Macon GA, Savannah GA, Valdosta GA, Destin FL, Jacksonville FL,Orlando FL, Tallahassee FL, Tampa FL, Apex NC, Cary NC, Chapel Hill NC, Holly Springs NC, Raleigh NC, Wake Forest NC and many more.